Search For your Trains by Following Steps in Help Content - Search Trains Between Stations. 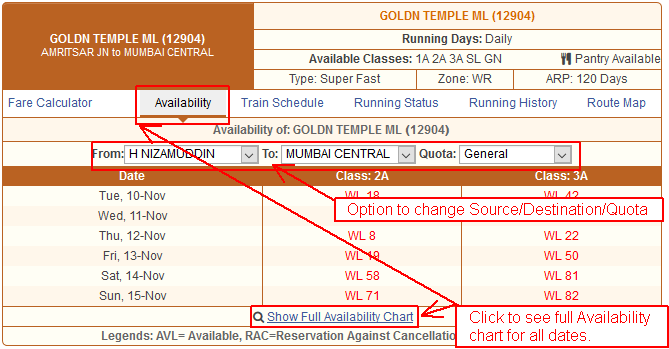 If you have not Selected Date or Quota in "Get Trains Between Stations" Form, then Select Date and quota to Check Availability. Seat Availability will be displayed below train list. If your Train doesn't run on Selected Date, A dialog will appear for date reselection. You don't require to search again for your trains if you change your date or quota.